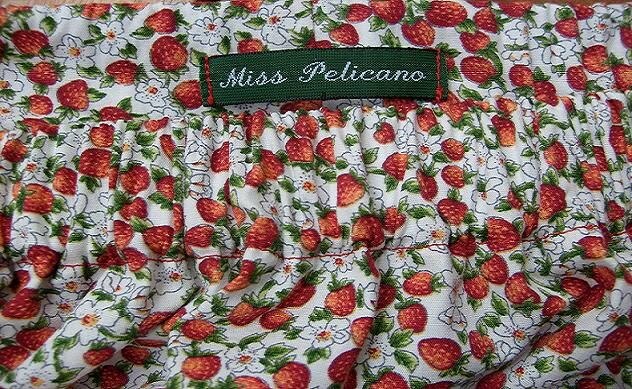 Miss Pelicano: A table is a table. Or is it? Challenged by Concha at Saídos da Concha, who was challenged by Alice, who also challenged others, here I am showing my working table. It isn't actually a table, but it works as one. And as an ironing board as well (because it is one), which is really practical! Because of lack of space, this is the best solution. I tried several. And working on the floor - which I still do for bigger projects, like when I make clothes - wasn't so practical with two young children around. I like being able to leave unfinished projects visible and ready for the next move. 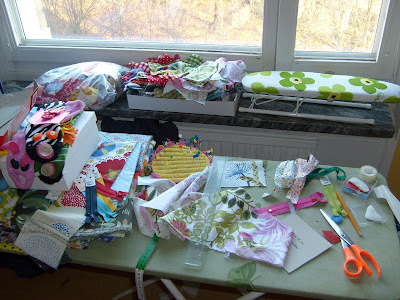 And now I also challenge Mona, Mai and Amélie to show their working tables. Mona, for her collage like houses, Mai, for her delicate and incredible handsewing of all her creative projects, and Amélie for the perfection in her sewing and her short animations. Then they must also challenge three other people to do the same! 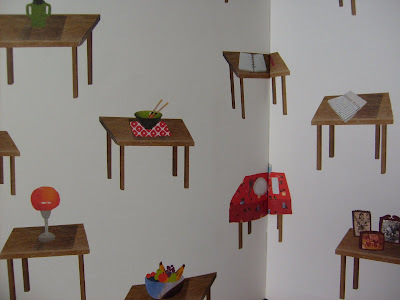 This table business made me think of a Portuguese children's book I bought a while ago. A little girl sees a table and for her that's exactly what it is. A table. She meets different people that day who have so many different ideas of what a table is. I like the collage illustrations! Just like Mona's collage like sewing. It'll be fun to see other people's working tables! And I hope you enjoy visiting Mona, Mai and Amélie! 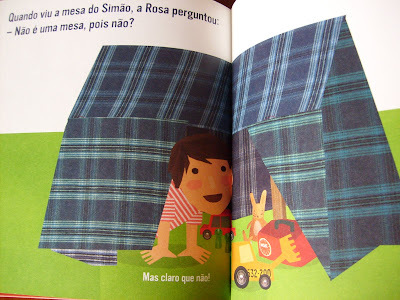 as ideias estao na cabeca e nao na mesa nao e ? The picture of your ironing board looks very familiar to me, I've got the same situation going on regularly in my sewing room. Hope to see the project(with the leaf fabric)you're working on soon! 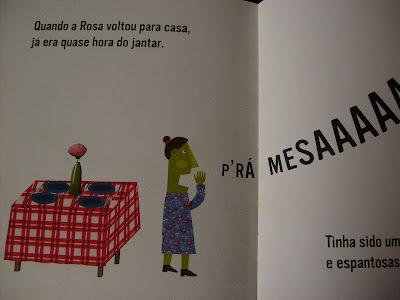 a criatividade é assim mesmo. 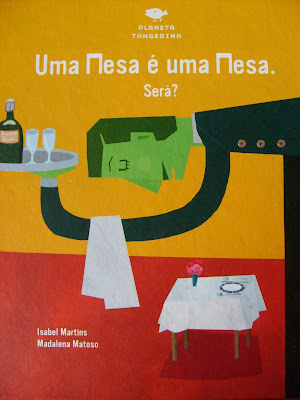 As ideias surgem quando menos esperamos. hi, Thanks for the challenge and link to mydaruma. That's great! You can also show your tidy table! Hope your kids gets better! Mine have just recovered. Looking forward to seeing your post. Don't stress.